The shape of our noses changes as we get older. As a child the nose is more button-like and, as we age, the bony bridge starts to form. Since the nose is the central structure of our face, it is only natural to want a nose that fits in with the rest of the face around it. 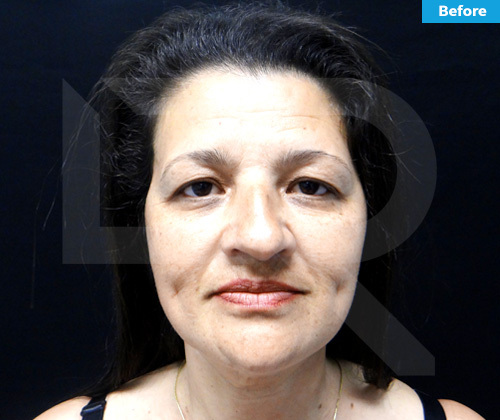 Whether there has been an injury to the nose altering its shape, or whether the shape of the nose has been inherited, there may be a reason that you are not happy with your nose and may like to have the shape changed. Who can have a rhinoplasty? While it is possible for just about anyone to have a ‘nose job’, the patients who get the best outcomes are usually those who have a very clear idea in their head of what they feel is wrong with their nose and realistic expectations as to what can be achieved through surgery. Improvement, rather than perfection, is the aim of rhinoplasty surgery. ‘Closed’ Rhinoplasty means that the incisions are made inside the nose and the skin does not have to be completely lifted off the underlying framework in order to change the shape of the nose. This is suitable for reshaping the bridge of the nose (‘hump’), or when very simple changes are needed to the tip of the nose. If more complex work is needed on the tip of the nose, or there are breathing difficulties that need to be addressed, then an ‘open’ rhinoplasty may be more appropriate. This involves making a small incision in the column of skin that forms the underside of the nose (‘columella’) and combining this with incisions inside the nostrils (see picture). This allows the skin to be lifted completely off the underlying framework so that complex reshaping can be done under direct vision. The skin is then redraped into place and the incision is sutured. It may be necessary, as part of either closed or open rhinoplasty, to fracture the bones that make up the sides of the nose in order to narrow the nasal bridge. Every situation is unique, but generally Rhinoplasty surgery is about 1.5-3 hours long. Patients may return to work in 1 week. If the job requires strenuous activity, it may be 2-3 weeks. Patients may experience temporary swelling, bruising, and difficulty breathing due to packing. Rhinoplasty is cosmetic. Some patients combine procedures to correct breathing issues as well as correcting the appearance of the nose thus a portion may be covered by your insurance. These patients are advised to contact their insurance company first. Patients may resume exercise in 2-3 weeks.